Founder and CEO of STS Group, Eddie Walsh, talks about his company’s work across sectors, its success in entering new markets and the challenges in Irish construction. Just past its 10th anniversary of its foundation as a specialist technical services company, STS Group is now a full-service provider, with an annual turnover in excess of €100m and growing, rapidly expanding into new and existing local and international markets. Last year was an excellent one for Specialist Technical Services, which now employs over 900 people, with nine offices in Europe, Scandinavia and the Middle East. The group headquarters remain in Ireland at Cleaboy Business Park, Old Kilmeadan Road, Waterford. STS has steadily and progressively grown since its establishment in 2006 and is now a full-service provider of electrical engineering, design, instrumentation and commissioning services. The company is a leader in the creation and commissioning of the largest and most technologically advanced data centres for some of the best known technology brands in the world and is also a major player in the world of pharma and bio-pharma. It has a strong and ever-growing presence in the commercial, utilities, transport, oil and gas sectors. STS operates in Ireland, the UK, Switzerland, Belgium, Germany, Sweden and the Middle East and has many long-term client relationships at home and abroad, benefitting from a constant flow of repeat work from satisfied clients. This has been a cornerstone of the company’s success, as new clients have all been converted to regular customers. It is core to the company’s ethos and has been achieved through constant customer care and good communication, allied to significant investment in talented people and innovative technology, enabling STS to consistently deliver great value to clients. Most firms say people are its core asset but STS has integrated this principle at the heart of all its activities. STS self-performs and is not exposed to the skills shortage, but continued expansion means that the number of new entrants to the construction industry will have to grow. This will necessitate increased, effective promotion of the industry in schools and colleges. 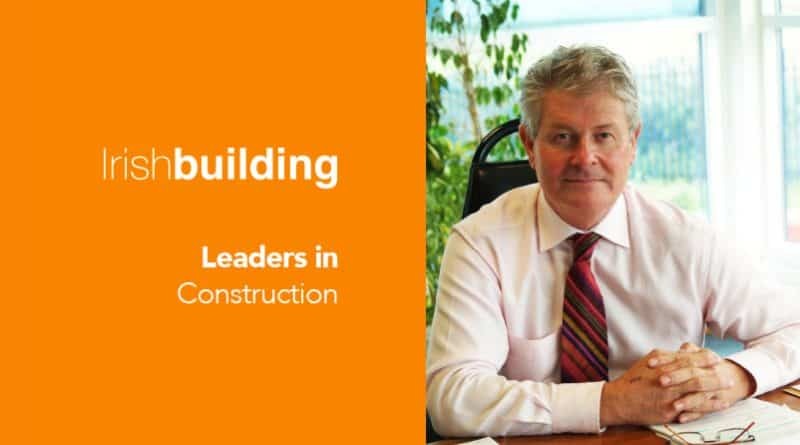 STS leaders believe that the industry should do more to encourage young people into construction and present a more attractive and accurate image of the industry to young people. A career in construction opens up an amazing path for young people and allows them to travel the world, working on innovative and exciting projects in exotic locations. Construction careers cover the spectrum of innovative and sophisticated technology in the areas of electrical, mechanical, plumbing and instrumentation. The industry has to demonstrate these major selling points in order to bring home to young people the work being done with BIM and other technologies. Investing in people is a core value at STS. Rather than outsource its labour force, STS has concentrated on fostering talent within the company. Its in-house training centre in Waterford allows the company to fast-track and support employees towards reaching management positions. Graduates entering the industry are technically well-qualified but colleges can do more. While graduates have excellent technical capabilities and knowledge and offer a lot to a rapidly changing industry, the level of practical skills could be improved. Apprenticeship-style degree courses allowing students to spend a portion of their time with a contractor before getting their qualification, would be a very valuable and effective innovation, according to STS. The gender balance could also be usefully improved. It is well recognised now that women can fill all the roles in the industry just as well as men. Campaigns to get women into construction are a positive move and STS welcomes women entrants to the workforce. Whether working in Europe or at home, STS has developed an offering that includes innovation, technical excellence and experience, based on its team’s core belief that people are the prime asset. STS offer design, project construction, procurement, commissioning services, as well as maintenance services to clients. A major advantage for STS customers is its excellent in-house design capability. This design team provides mechanical and electrical solutions and services that range from conceptual and execution design through coordination to as-built documentation. STS’s procurement and contract advisory services are designed to support projects from inception to completion. Delivering value to clients is a primary goal. The company offers clients value engineering services to help them eliminate unnecessary costs and deliver the projects they want. As one of the earliest adopters of BIM and Lean in Ireland, STS is of the view that these technological advances within the industry are essential to its development. STS senior managers acknowledge that 2017 has been a good year for the business. It saw the establishment of STS Buhindi in Bahrain towards the end of the year and the company is currently working on the provision of a large data centre in Manama. A full project team was appointed and work is currently progressing well. The growth strategy at STS continues to focus on expansion and locating new markets where the team’s standards of excellence will deliver results. Three large data centre projects were won in Sweden during the last year, giving STS a firm foothold in Scandinavia. In expanding in regions such as Scandinavia, STS self-performs. Its large workforce is key to success. The expansion was built on a strong and loyal existing client base. In just 12 months, the company has four significant projects under construction with more in the pipeline. While the bulk of the employees on these projects are existing STS employees, they have been supported by Swedish professional staff. When STS enters a market, it employs a number of managers from the region to help with any language and management challenges. STS also expanded through the acquisition of D&V Engineering in Belgium, giving it a presence in both Belgium and France and enabling the company to secure important projects in these countries. STS plans to continue to expand sensibly and to have a balanced portfolio of work in different regions, so as not to become over-reliant on any one market. Experience has shown that it is important to initially set up correctly and to employ key local management and employees where necessary. “STS’s new data centre project in Frankfurt is in development, along with exciting new relationships being built with large world-renowned technology companies based in Europe”, according to Eddie. Data centres are also an important and growing market in Ireland, and one where STS has an excellent reputation. The construction of data centres is a major activity for STS, with major projects either in construction or completed for confidential clients in Dublin, Paris, Milan, Frankfurt, Sweden and the Middle East. STS is well regarded as leaders in the provision of services to the pharmaceutical industry, the biggest sector for the company. In Ireland, STS has recently been appointed as lead engineering and electrical contractor on a large bio-pharmaceutical project in Munster, with the workforce expanding each week. Another major bio-pharmaceutical project in Switzerland is also progressing well. STS has been commissioned to complete the engineering and electrical fit-out of the manufacturing facility and to supply and install generators. The plant is on a green-field site built in order to manufacture one of the company’s leading products. The project also includes clean-rooms, technical areas, offices and laboratories. STS sees delays in the planning process in Ireland as a cause for concern. Delays have disrupted a number of projects, including data centres and pharma facilities. Much of STS’s Irish contracts are with FDI companies and it is imperative that Ireland as a state ensures that companies based here are accommodated and that others are attracted to Ireland to set up bases here. The danger exists that poor decisions can lead to companies going elsewhere. If the chief executives of large international companies say planning is a major issue for them, then the planning process needs to be looked at to ensure it is open to genuine critical concerns but is not used in an inappropriate way to delay major projects with huge economic benefits for Ireland. As Ireland benefits from the availability of a skilled English-speaking workforce, its great location at the gateway to Europe, we need to continue to promote our advantages. In order for this to be convincing, it is critical that the necessary infrastructure is in place. Ireland needs to improve its access airport destinations, especially to and from Cork airport. Asked about his main takeaways from 2017 and what he looks forward to in the future, Eddie Walsh highlights the progress STS made in developing the commissioning part of the business in 2017. Additionally, the company leaders are constantly learning from their staff members’ experience and are getting feedback which they will use to improve performance. “STS grew in 2017, entering Bahrain and Sweden. In the coming year, it will continue to grow in a controlled fashion, offering the same high-quality standards and value to clients,” concludes Eddie Walsh. ← Are pension savings only for construction site workers?